The picture is of Nanjizal Cove, Trevilley which is to the south of the Lands End at Sennen, Cornwall, in the U.K. Originally a black and white print I have digitally enhanced it using Corel Photo paint. Since the site first went on line in March 2001 we have made contact with many other people with connections to the family. To all those who have sent us information we say a big 'thank you' and if you have any interesting stories, poems or pictures or indeed anything about the forbears that is not recorded here then please get in touch with us. We will endeavor to find room for them on the site. Sitting in comfort before a blazing fire, and living in more secure times, we have little comprehension of their struggle to survive against the odds. You can almost feel their presence willing you to discover more so that their story can be told. In tracing my family tree we have collected much information on Sennen and the surrounding parishes. The people who lived and worked in the Lands End district tended to be multi-skilled: farmers and fishermen with a touch of mining thrown in. If you had visited the far west of Cornwall in the 1600's you would have found a small population but sheep and goats by the thousands grazing the land. However, one thing is certain it was a hard life and the frequent harvest failures on both land or sea meant that smuggling and free trading was also part of their trade. My family appear to have been closely connected by to the trades of free trader and privateer, and in the opposing maritime occupations of Revenue Officer and Coast Guard. They apparently sailed very close to the wind indeed. Many have blank church records: they disappear from the scene for years to reappear in neighbouring parishes. Some may have paid the ultimate penalty and were drowned at sea, their deaths going unrecorded. In the nineteenth and twentieth centuries many sought new lives overseas and some of their history is recorded here. There have been heroes: family members include holders of the Victoria Cross and Military Medal; also a George Cross winner and two Lifeboat Coxswains. There are also those who in time of war paid the supreme sacrifice. All this and more you will find within these pages so please browse the site and we hope you enjoy your visit. Please keep coming back as we update pages all the time. You will find other Web Sites with a Cornish or Genealogy interest on the Links Page and we will endeavor to provide a number of resources here to help those of you who are doing research connected with Cornwall, whilst at the same time hoping that you will share your knowledge with others through the site. We would welcome any info on the remaining anonymous relatives that you may know of. We try to collect the female lines as well, although difficult with the change of surname. Offspring of these females often married back into the various lines to ensure the continuing landholdings were kept 'in the family'. They were cousins in reality as well as in law and were often joined in complicated patterns of kinship. Below are just some of the Vingoe lines which we have researched. If you cannot find your particular line then contact us giving as much information as possible and we will try to answer any query. If you have information you wish to add or any corrections to the data then let us know. All data on this site is checked with the original source that we quote but we are only human. Mistakes can be made, even though we do our best not to make them and correct them as soon as we know otherwise!  the common Ancestors of all lines found so far. I give the lines down from John & Joan Vingoe's sons, John and William VINGOE, who were known to have produced children. In John's will of 1656 their 5 sons are mentioned; William, John, Jenkin, Martin & Peter. In his Will John VINGOE decided that his property would go to their eldest son, William VINGOE on the death of his widow, Joan. In a will dated 1662 Edmund Nicholas names his three married daughters; as Joan Vingoe, Jane Bottrell and Charity Harry. 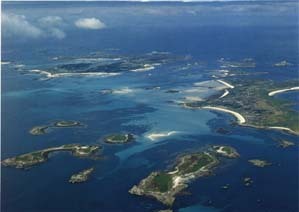 I give and bequeath unto Polly Hicks the daughter of Israel Hicks of the Island of Scilly two shillings and six pence. William's other son, HENRY VINGOE is left a small bequest, as are JOHN VINGOE and JANE VINGOE, children of her other son John VINGOE. There are other grandchildren mentioned but they are not named. It does not help that records for Sennen only start in 1695.Joan's grandson William and his wife Agnes had only one son, William VINGOE c 1693. This was probably William who married c1721 to 1] Ann ?, who bore him children John, Elizabeth, Ann & Joan [1722-1730] He may also have been William who in 1730 Sennen married 2] Mary Daniel of Sancreed. If so Mary bore him further children named William, Henry & Richard [1730-36.] The birth dates would appear to be contiguous, with no repetitions in their Christian names. Also the various land holdings of the children would appear to confirm this is the same William. WILLIAM VINGOE [c1693] holds land around Trevilley, Trevescan & Churchtown in Sennen. There is no record of his death or burial or that of his two sons William and Henry by his second wife Mary. Eldest son John [c1722] by first wife Ann, inherits the land in Trevescan in Sennen. 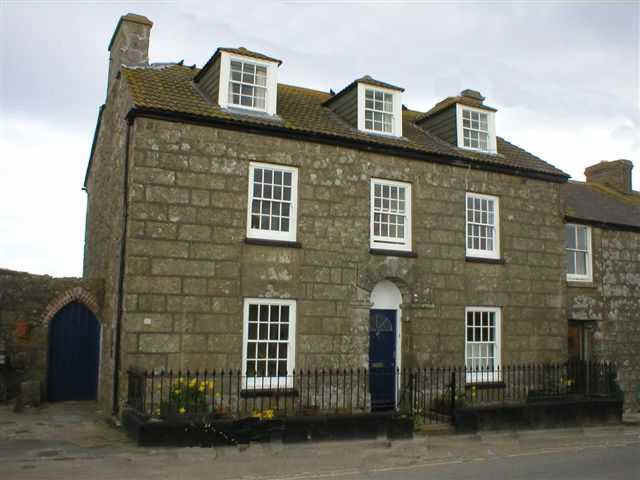 His youngest son Richard [c1736] by wife Mary, inherits Trevilley and property in Sennen Churchtown. 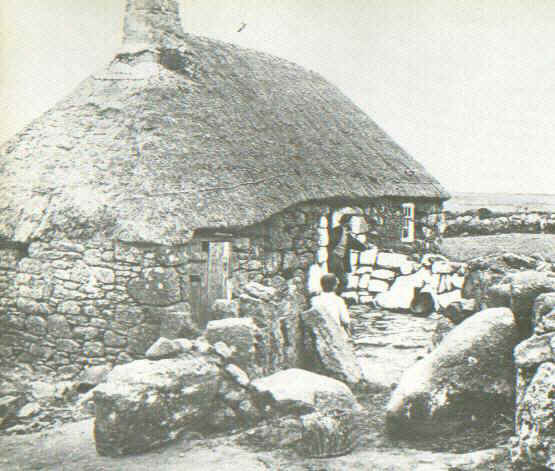 According to old deeds in the possession of descendants of this Lands End line, this consisted of a parcel of land on which stood the First and Last Inn as well as various stables and barns. Next door to these Richard built the Dower House for his widowed mother Mary. A Hutchens family will dated & proved in 1747 shows that a 'William Vingoe of Trevilley' was still alive then. He is mentioned as a beneficiary and as partner in the fishing boats and seines etc. William and his two elder sons, William & Henry, must have perished at sea around 1747/8 leaving youngest son Richard as the sole heir. He married Mary Penberthy in 1763: the Dower House is believed to have been built for his mother's occupation around that date. Richard's wife Mary bore him two sons and two daughters between 1764 & 1773, but died herself by 1777. Father Richard married again in 1780 to Mary Williams of St Buryan. She was only 30 years old when they married but she bore him no children and was buried in her home parish of St Buryan in 1815, two years before husband Richard died. Eldest son, William VINGOE [c1767] married Mary HUTCHENS 1797 St Buryan and had two daughters, Mary & Margaret. William died of consumption at Trevilley in 1800. His younger brother Richard VINGOE [c1773] appears never to have married and is not mentioned in his father's will of 1817. There is a mention in The Royal Cornwall Gazette in an advert for a 'Sale of Land' in 1803. Richard the elder was buried in Sennen in 1817, and his sole heir "to all his lands and possessions" was his granddaughter Mary VINGOE [b1798]. Her sister Margaret [b1800] had died in 1813. Richard's younger son Richard must have been deceased or missing as there is no mention of him at all. I have since discovered a death registration of a Richard Vingoe in Bodmin District on the Civil Death Registers Jun 1/4 1867 GRO ref 5c 62. His age is given as 84 but there are often age errors when patients have spent years in institutions. I have also found a burial in the local parish church records. 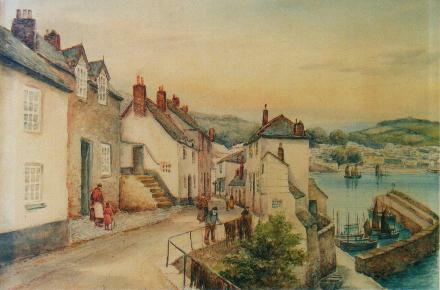 Richard VINGOE bur 30-Apr 1867 Bodmin Age 84 Bodmin Asylum [resident of Sennen] age 84. As Mary was still a minor I presume some male relative acted as guardian until she reached majority. She married Henry Hodge TRUDGEN in 1826 at Sennen. With her marriage the name of Vingoe was extinct in this line. I have split the various branches of the Vingoe line into the separate trees after the grandchildren of John and Joan Vingoe as recorded in both wills and made certain assumptions which will remain un-provable as no written Sennen records are extant. There are also a couple of base born children baptised to two Sennen girls with the name of Richard Vingoe. The first was Richard Vingoe 1789 son of Jane TREGEAR. The father may have been a Richard Vingoe above but unlikely. Jane married Stephen Vingoe nine years later. Son Richard was brought up by Stephen as his own and when Richard married he named his first-born son Stephen. It is possible that Stephen was the natural father, although Richard was not a name much used by this branch. I have placed this Richard in the Henry VINGOE & Eleanor line Their son James had a son Stephen who married Jane TREGEAR, the mother of Richard Vingoe 1789. 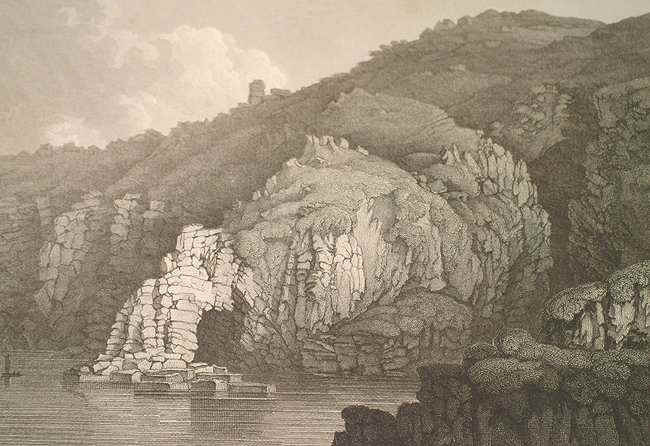 There is also Richard Vingoe bt 17 Aug 1807 Sennen: base son of Christiana MURLEY. This Richard Vingoe settled in Scilly with Ursula LEGG by the time of 1841 census. He was a sea captain and later a pilot, a favorite occupation among several branches of the Vingoe line. His children's names were: Richard & John Legg; Ann Elizabeth; Sarah Jane & Sarah Francis. Clues as to his ancestry lie in the pattern of the names and points to the line of Henry Vingoe & Eleanor of St Just; his son James 1734 -1810 and wife Amy Courtney c1736-1797, and their descendants. 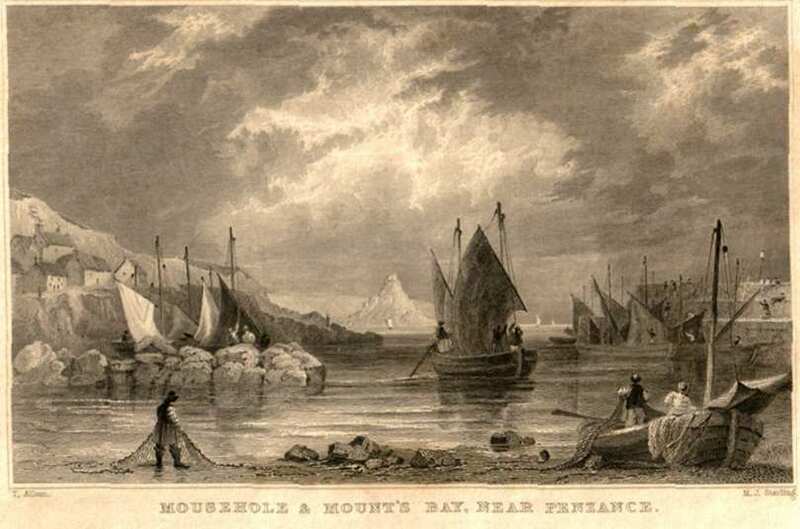 Christiana/Catherine had another child: 14 Mar 1814 Christiana d/o Catharine Murley of Sennen, base. She later married a Thomas Harvey 25 Sep 1824 St Buryan. 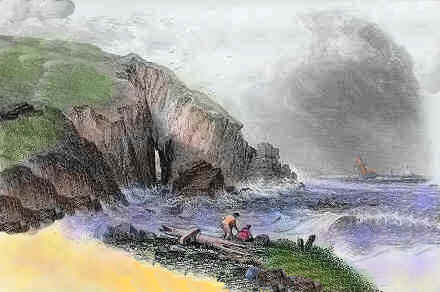 Christiana bt 27 Dec 1794 St Buryan was the dau of William & Margaret Murley. Her sister Julia Murley, bt 15 Aug 1806 married John Vingoe in 1826. I can find no Bastardy Bonds in Sennen Parish for these children so both Richards' mothers must have had support for any illegitimate children. Base children of Vingoe females usually had family support without recourse to parish relief. There is one other base born Vingoe male child: John Vingoe bt 03 Oct Ludgvan, mother Jane Vingoe [name entered as Vinjoe]. Jane was a sister of Stephen and Israel. Her son was the John Vingoe who married Julia Murley in St Buryan 16 Sep 1826. A witnesses was Thomas Harvey, Julia's sister Christiana's husband. I have also divided off a later section of the line of grandson Henry Vingoe [1665- 1725] & Eleanor, as I can find no written records of the parentage of my 4x grandfather Henry VINGOE c1771 who married Grace MANN in Paul in 1797. To go back through the generations on a tree, click on the coloured bar next to the name and you will be taken back to the father of that person and so on. 1 John VINGOE: c 1580 - died c1656 Sennen. Will proved in Canterbury during Interregnum. .....................[mentioned in the Will of his father, John VINGOE 1656 but not mentioned in his mother Joan's Will, written 1684. 2 Jenkin VINGOE: born before c1656 -died ? 2 William VINGOE: c 1635 - died before 1695 Sennen. a date of c1662 for William jnr. and a date of c1635 for William Snr. a birth date of c1615, which would make her about 70 years old when she died in Sennen in 1685.
whom he married in Mawgan-in-Meneage sometime before 1619.
died in 1619. They had a dau bt Philip in Mawgan in Meneage but I could not find any other children. have been another son of John Vingoe, born 1605-1619, perhaps from his first marriage to Christen Reskille. It's not clear who the 2 men named Jenkin Vingoe were, except one was a son of John & Joan. There is no record for any baptism or marriage for either Jane or Sarah Vingoe. beliefs in "Doomsdale" at Launceston Castle jail, which possibly meant they were father and son. ..................+ Agnes ? c1673 - buried 1747 Sennen.  .......................5 Eliz ADDECOTE: 30 April 1739: St Bur. .......................5 Mary ADDECOTE: 17 May 1746 St Bur. Tree of Henry Vingoe 1665 Sennen & Eleanor ? 2 William VINGOE: c1640 - died ?? Sennen. William Vingoe c1640 was mentioned in the 1657 Will of his father, John VINGOE, but not in that of his mother Joan in 1685 as he inherited property under his father John's Will in 1656. In order to legally witness his grandmother Joan's will of 1685 his son William was presumably at least 21 yrs by that date. I have therefore assumed a birth date of 1663 for him, and for his father [William ] a marriage date of c1661 and a possible birth date of c1640. His mother Joan must therefore have been + 16 yrs old at his birth, so born c.1620. She was probably the wife of a John Vingoe c1610, son of John Vingoe c1580 who had married twice in Mawgan in Meneage. I have entered the sons of his and her "loins" as he states them in order of mention in his Will. Presumably William was the eldest and so, at his father's death in 1657,was about 17 years old. Before Joan died in 1685 her sons Martin, Peter and Jenkin had also died, but John and William had both married. John had a son and a daughter who moved to Paul Parish on marriage. William has two sons William & Henry, who remained in Sennen Parish and from whom all the Vingoe lines I have traced descend directly. Whilst pregnant Jane Vingoe was probably living with her married sister, Sarah BLIGHT in Ludgvan. Sarah was closest to her in age being just three years older. Their mother Amy had died six years earlier and their widowed father James was probably living with his eldest daughter, Anne ELLIS in the Brane area of Sancreed. Jane named her son John, which is interesting, as before this there were no male members in her immediate family tree of that name. Almost three years after her son was baptised Jane was married to Thomas SEMMENS on 28 Jan 1807 at Sancreed. At St Just-in- Penwith there is a baptism record 07 Jun 1807 of a Thomas SEMMENS with parents Thomas & Jane. No further children of this couple are recorded as baptised in St Just, and so far I haven't found any records of children born elsewhere.Thomas was a son of Thomas and Ann [MARTIN] married 03 Feb 1778 Ludgvan. All their children were baptised in Ludgvan. Henry & Eleanor Vingoe of St Just has full ancestry line. ...............4 John VINGOE : c1695 - bur 1760 Sennen. Will proved 1760 Paul. Bottrell - Dennis - Hodder - Hutchens - Mann - Pentreath - Reed - Stevens -Willis includes William Bottrell, a Cornish Folklorist known as 'OLD CELT'. 3 Israel VINGOE: c 1680. .....................married 02 Dec 1711 Sennen. No Marriage found - No burial found. 3 Grace VINGOE: c1689 - ?